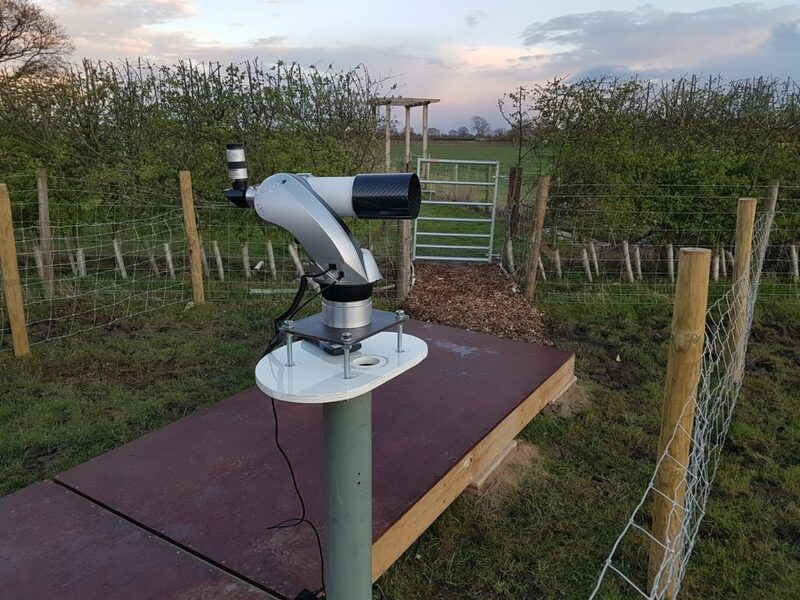 After two weeks of hard work, Society members fenced off a corner of a field with a line of sight for the crescent moon and created a small platform for observers and guests. A pillar was fixed into the ground in front of the platform for a small telescope and a member created a program that would enable tracking of the moon. 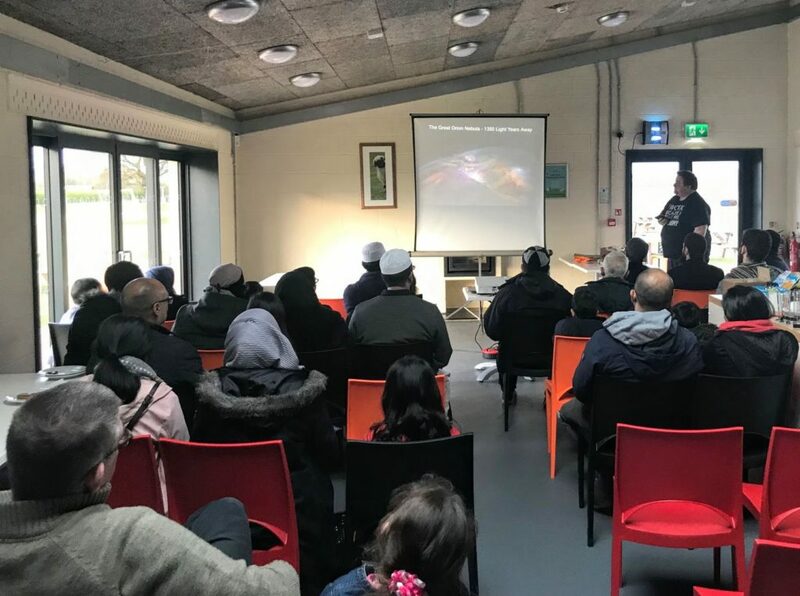 On the night, with tickets sold out, members of the local Muslim community, including York Mosque’s Imam, plus others from as far afield as Derby and Newcastle, joined members in eager anticipation. 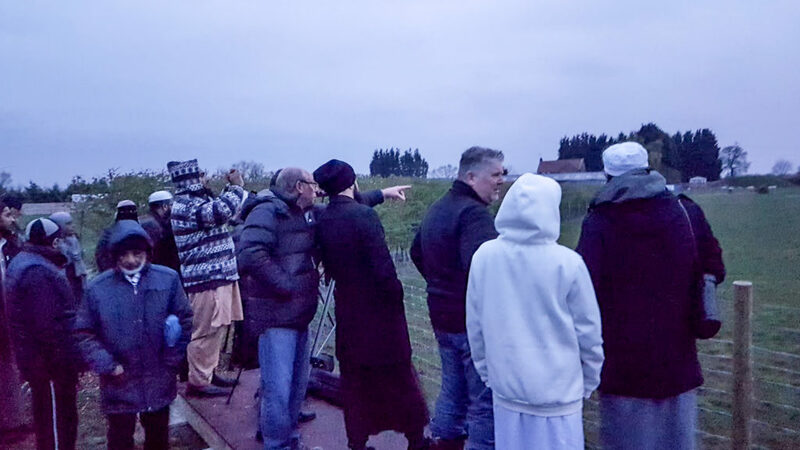 After a chance for prayers, refreshments and an interesting talk by Dave Armeson on the wonders of the solar system, members and guests strolled across the field to the viewing platform as the sun was setting. There were some gaps in the cloud and a telescope and several binoculars on tripods were ready and waiting (see pictures below). Alas it was not to be, and as we waited the clouds thickened and blocked the view. All we could do was point out the general direction of the moon as it passed unobserved. In spite of the disappointment, members and guests mingled and chatted about astronomy and its importance to Islam as the evening grew dark. All in all it was a successful evening where new connections were made. The promise of future moon watches looks assured – just let’s hope the weather is on our side! Thank you to Angela and the staff at Beetle Bank Farm for their continued support, and the tasty samosas! The moon is important to Islam because of the use of a lunar Islamic calendar to determine the date of Ramadan. Known as Hilal, the crescent moon indicates the start and end of Islamic months. For Muslims, it is important to determine the precise time of the appearance of the new moon to know when to start and end each lunar month, especially the fasting month of Ramadan. This was one of the main reasons for early Muslim scholars’ interest in studying astronomy, to which they made significant contributions. 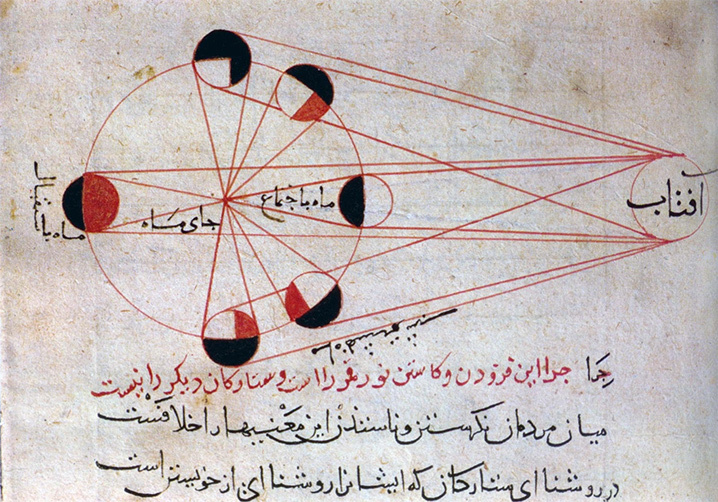 Inspired by the need to comprehend the lunar calendar, Islamic astronomy played a significant role in the revival of astronomy in Europe after the so-called Dark Ages. Many stars have Arabic names – Aldebaran, Altair and Deneb, for example, and astronomical terms are also of Arabic origin – alidade, azimuth and nadir. This entry was posted in News by Rob Maclagan. Bookmark the permalink.